I like to test different game genres whenever I can, with the only caveat being most of the genre’s not part of my mainstays: RPGs, Action, FPSs, and Adventure, tend to thrive on ramped up player challenges. For example, dungeon crawlers and especially their masochist off-shoot brother (little sister?) roguelikes; are difficult because of features like permanent death and random enemy wave spikes that; intimidate me far more than the looking at any monster at the end of a cave hallway. Hell, the recent Etrian Odyssey 4 with its rocking soundtrack had a casual mild mode specifically made for people like me. I am also dreadful at strategy games; owning almost every post GBA Advance Wars game but have yet to beat even one. 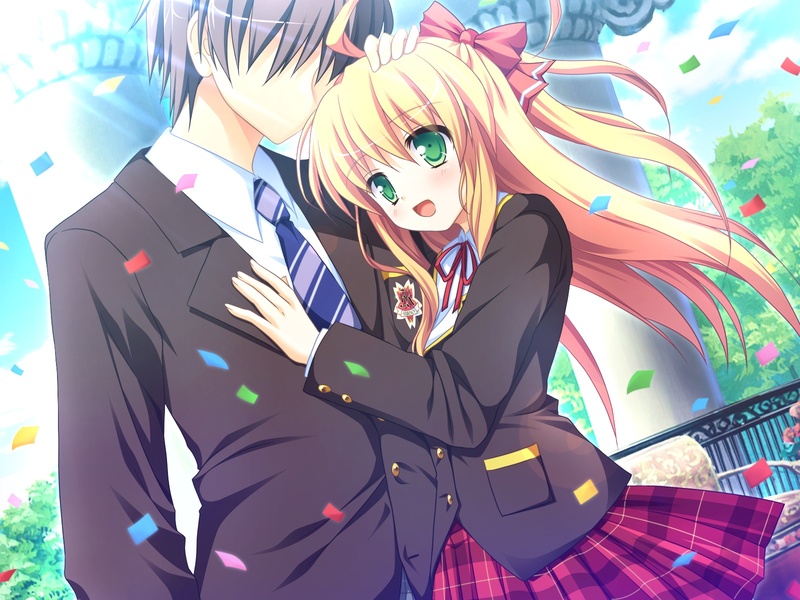 Visual Novels on the other hand, specifically the young women-targeted otome games, focus less on the skill and execution. 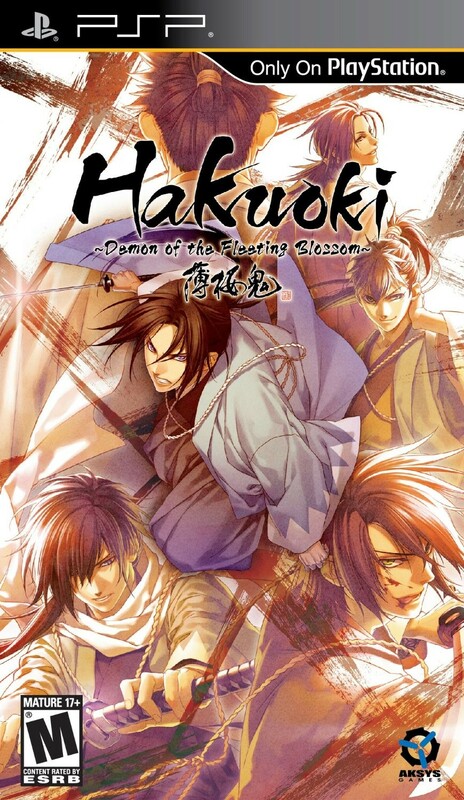 How about I start with the most recently popular one, 2008’s Hakuoki: Demon of the Fleeting Blossom? Hakuoki, developed by Idea Factory and released in the U.S. by Aksys Games, is a huge franchise in Japan branching into both manga and anime adaptions from its original Play Station 2 release. 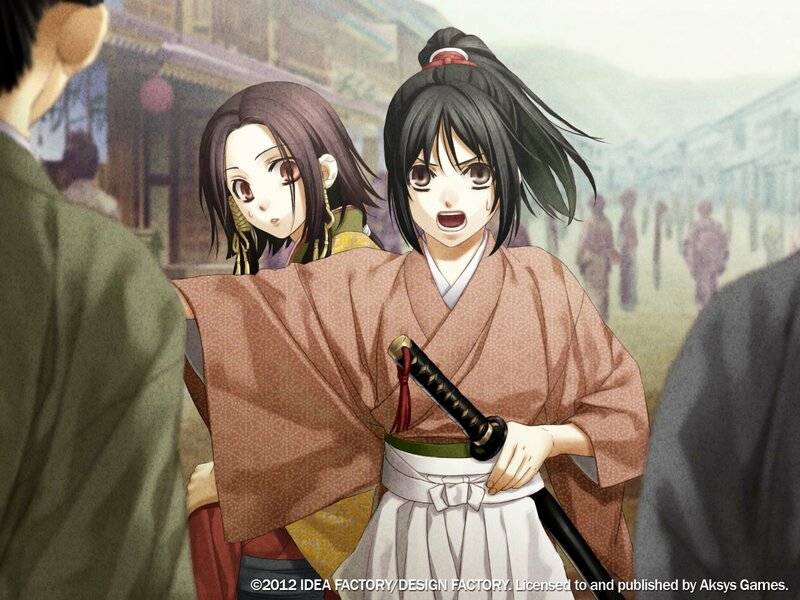 Like a big fish in a small pond, Hakuoki’s has a swath of ports, Play Station 3, PSP, DS, 3DS, to its various amounts of cell-phone charms and wall scroll merchandise, painting the series as a samurai-filled media juggernaut. Fitting I guess, since Hakuoki is marketed as the first big example of an American release of an otome game.